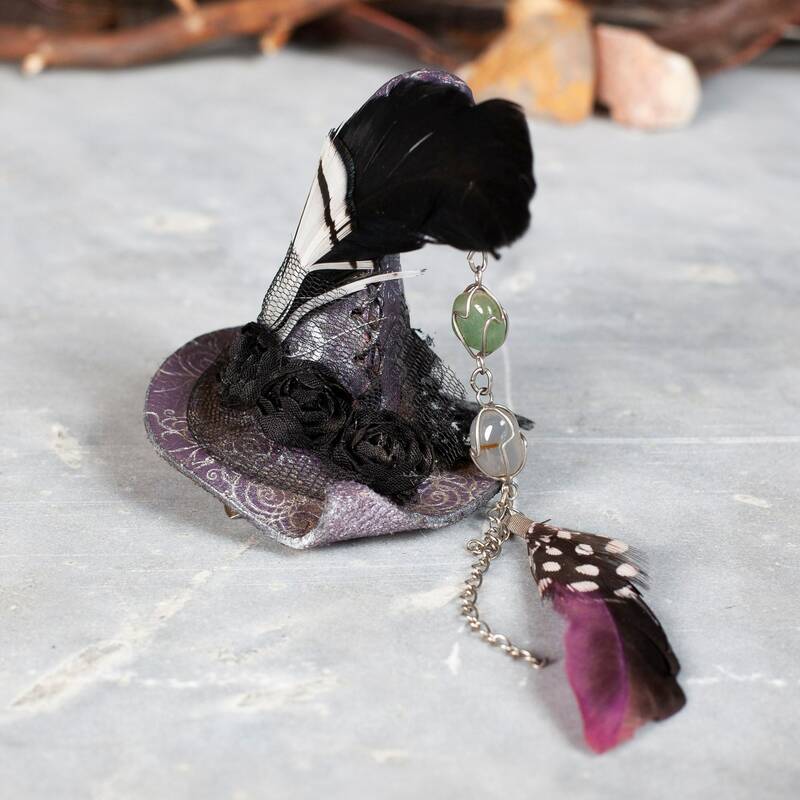 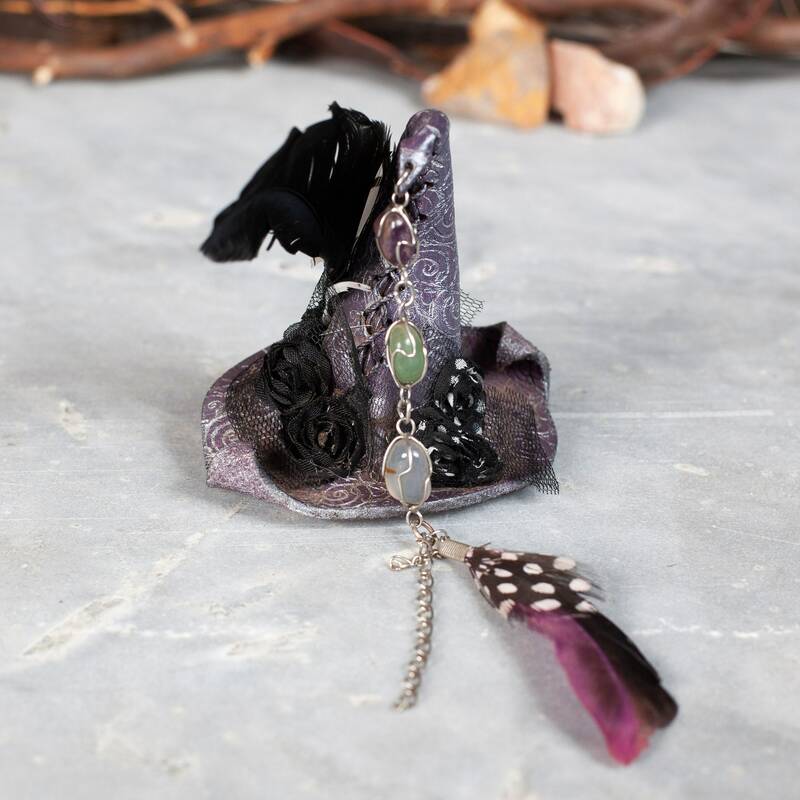 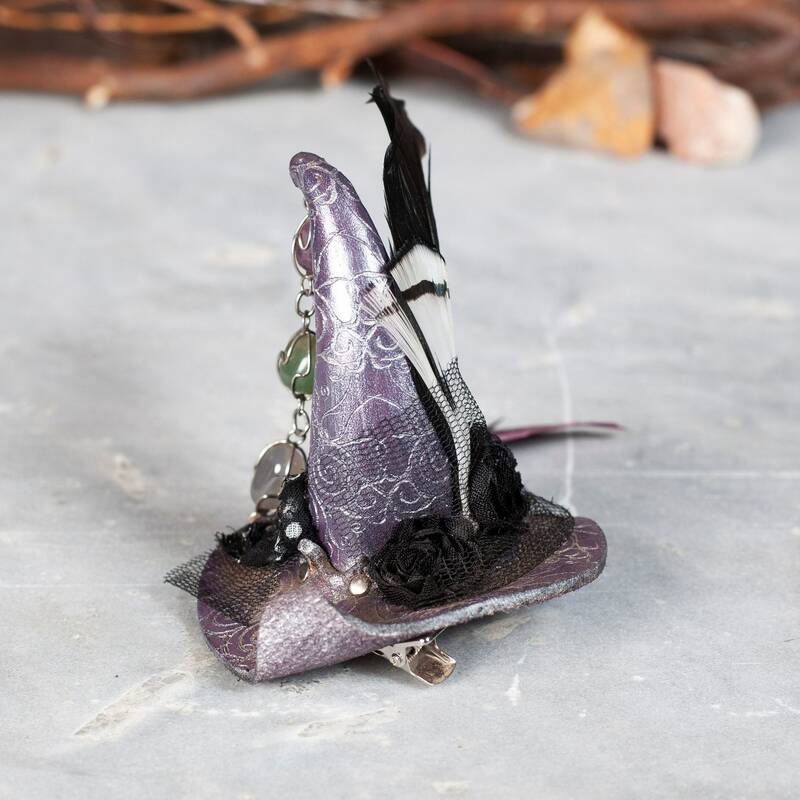 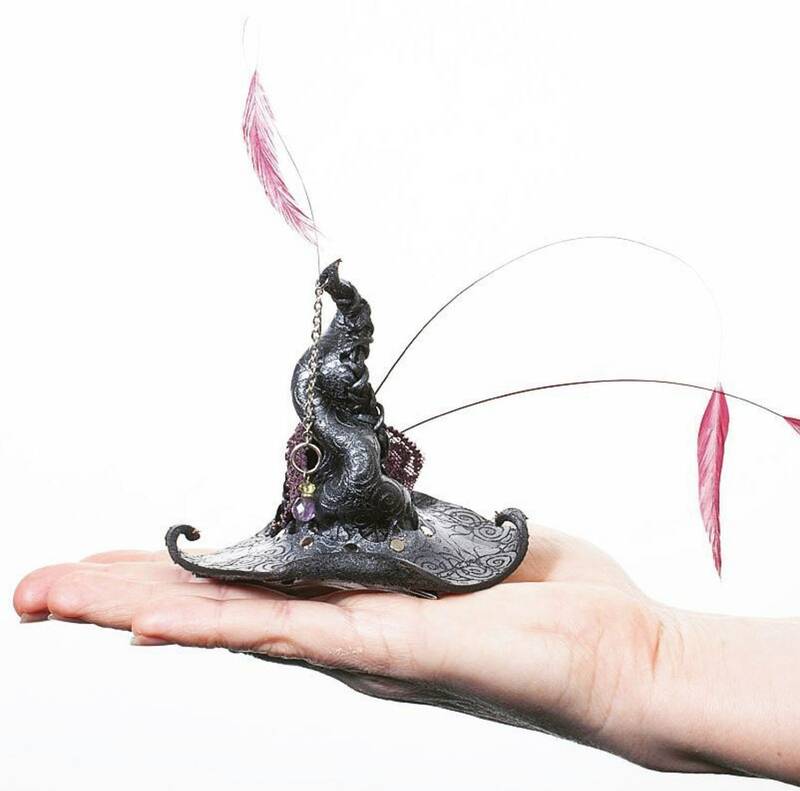 Now introducing our teeny tiny witchy hat fascinator/hair barrette! 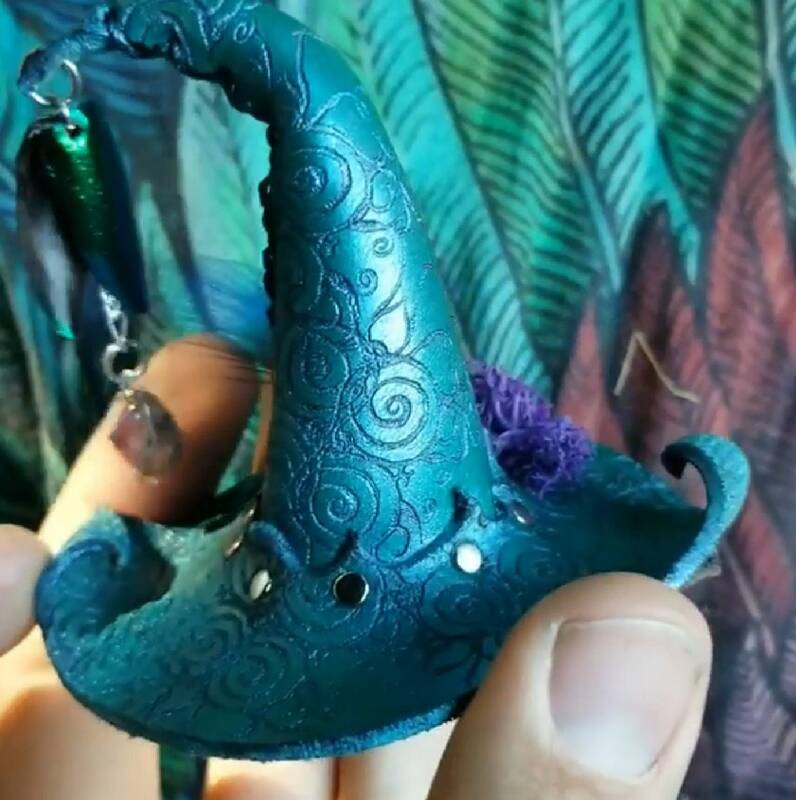 We've been making the bigger (yet still mini) version of these for years, but then a customer came along and begged us too make her the teeniest tiniest version possible...and it ended up so adorable! 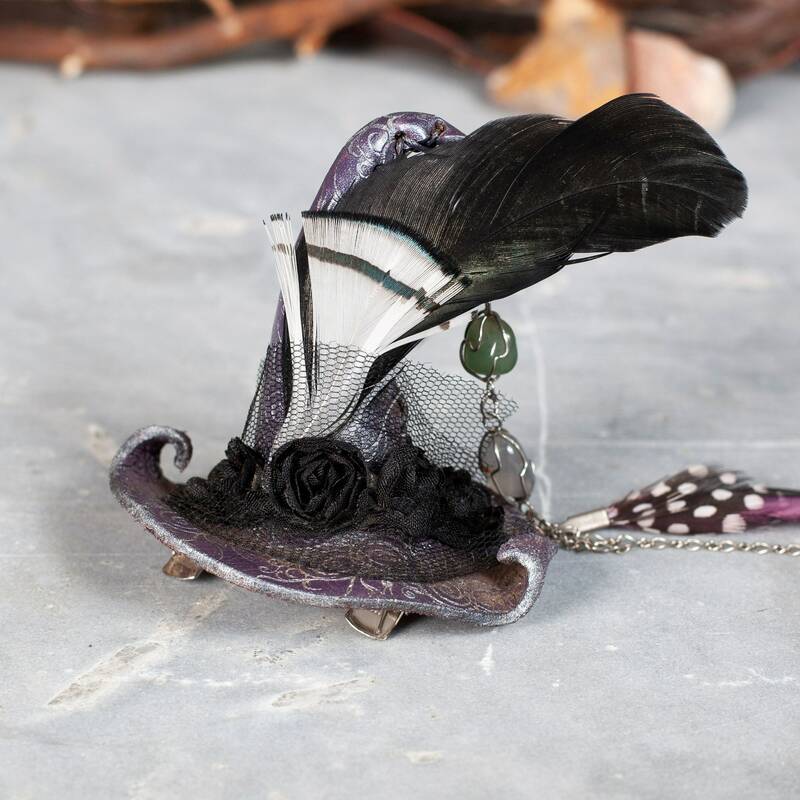 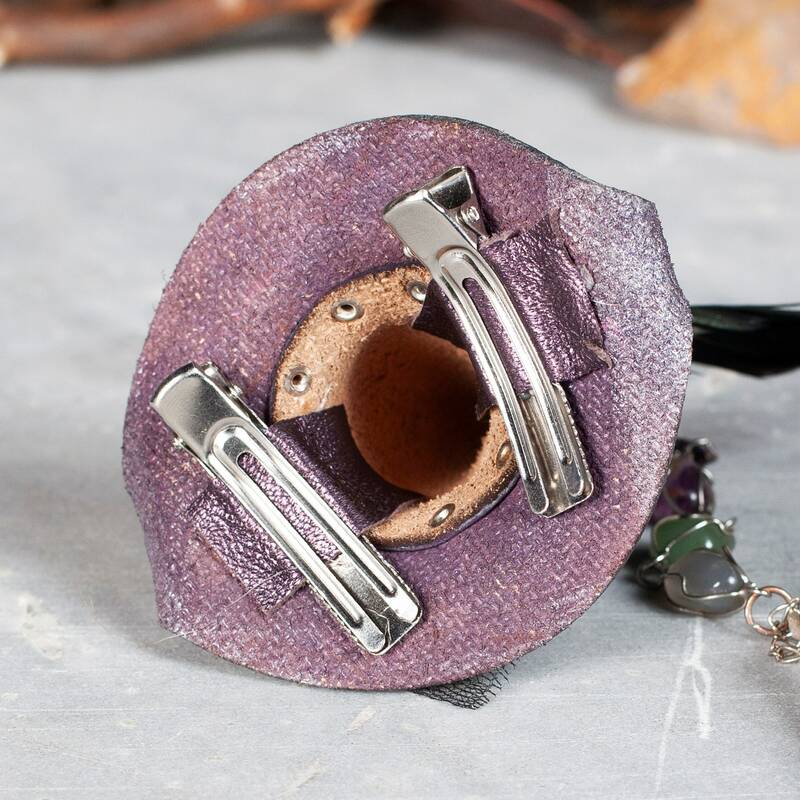 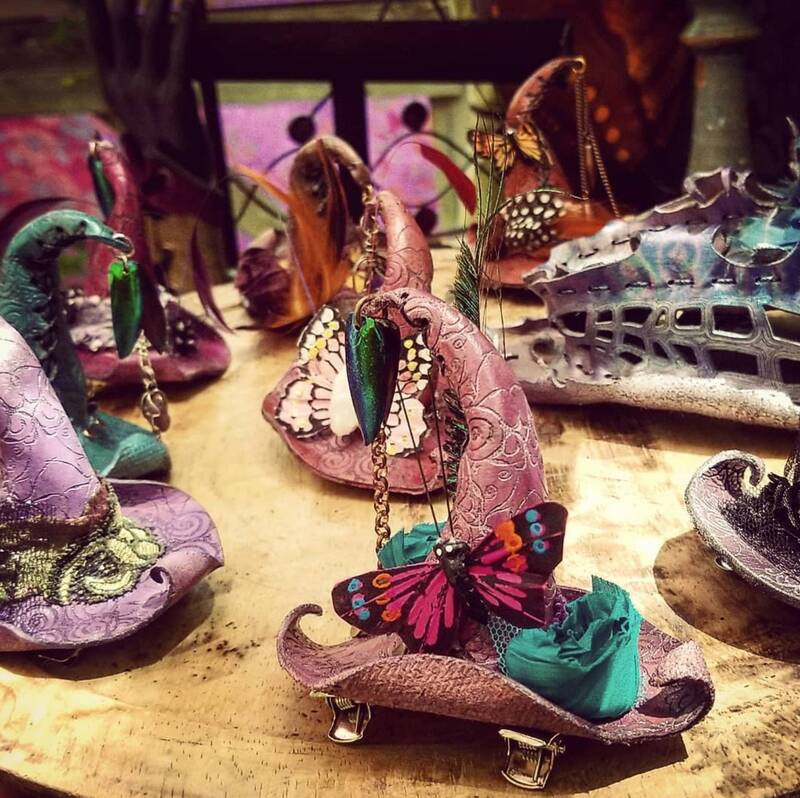 Art engraved, hand sewn, wet shaped, hand painted in a silvery lavender color and intricately adorned with feathers, cloth flowers & netting, and wire wrapped gemstones! 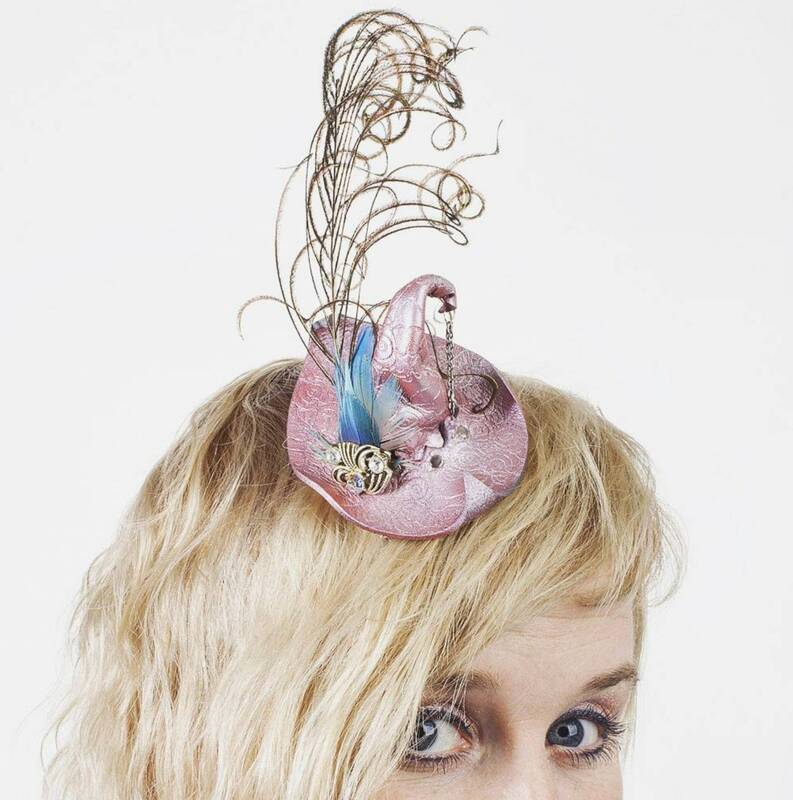 This tiny little hat is lightweight and easy to wear. 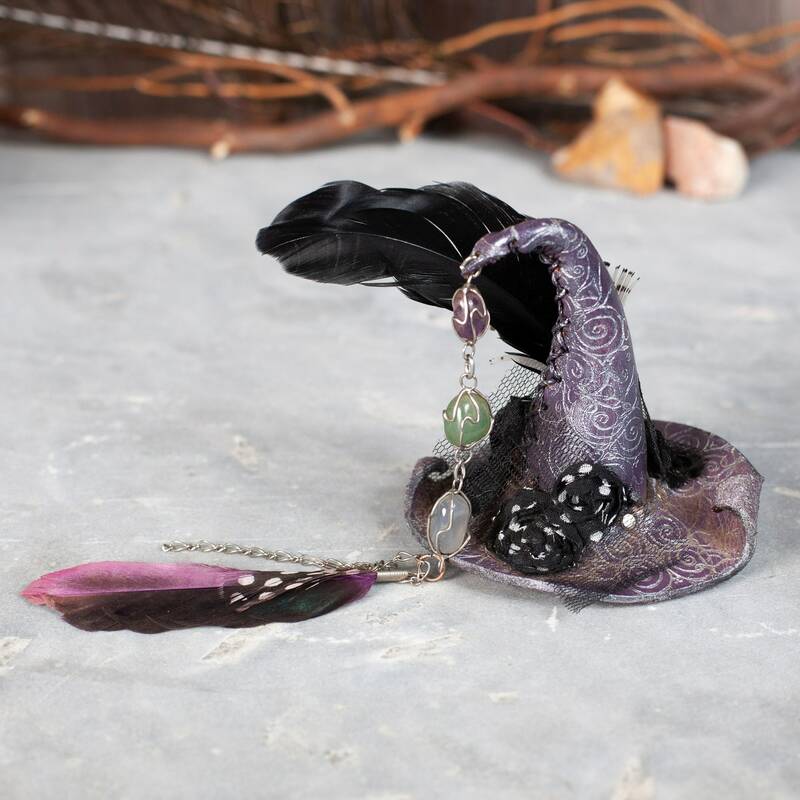 Please note that the last four pictures are not the teeny tiny witch hat that is for sale.